Learning how to play the guitar is a wonderfully rewarding endeavour and the right tutor can really to help you develop your talents. No matter what your ambitions and abilities we can make sure that you get the most out of sessions. Classes cover all the necessary instruction as well as extra facets to cater to interest. Lessons include understanding music notation, rhythm control, aural training, sight reading and chord recognition. 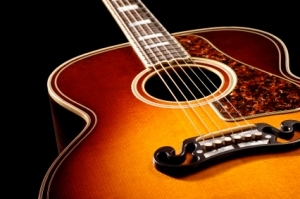 Good guitar playing is dependant on mastering various techniques such as finger picking and strumming. The teachers are also able to guide you in many different playing styles like rock, jazz and familiarising with well known riffs.